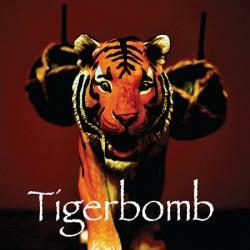 A rock power trio from Lancaster, PA, Tigerbomb is made up of three musicians who also happen to be brothers. With a sound drawn from a vast range of influences, the group proudly declares themselves to be “genre free”, although they do trend towards the heavier side of the alternative spectrum. Released in March 2013, their eponymous CD reflects this sonic mixture, along with a unique approach to composing which keeps the tunes in constant motion and allows for no potential complacency or rust. With a steady drum beat by Isaiah Stauffer, the album commences with “13”, a song which features a well-forged guitar riff and instrumental forays between verses. This serves to pack the mere two and a half minute song with plenty of variation and is an effective opener for the album. “Satch’s Satchel” follows with a familiar feel that alternates between Pearl Jam and Red Hot Chili Peppers. Nehemiah Stauffer provides some funky guitar licks which are an interesting and highlight of the song. “Mice In the Kitchen” is a bit weaker than the first two tracks, as it gets a bit lost in repetition until it is finally saved by the fat guitar lead that sits well above the rest of the mix. One drawback of this album is that the drums, at times, seem to be a bit detached from the rest of the mix, as is the case in this song. However, the album recovers with “A Head Full of Buckets”, due mainly to the satisfying and dramatic vocals by bassist and vocalist Andrew Stauffer. The cool juxtaposition of the song title itself along with the key line “My head, needs to be fed”, make this an indelible moment on the Tigerbomb album. Andrew Stauffer’s desperate, wailing vocals are also a strong point on “Unknown Superpowers”. From the crisp, intro guitars to the drum rudiments between the first two verses, the band leaves it all out there during one minute of this song before calming down to a steady, almost bluesy groove midway through the song. “Deft Ones” contains the best riff on the album, which starts with Andrew’s bass line and is soon synced with Nehemiah’s guitar. Overloaded guitar effects between verses and a short, outro lead highlight this song. Much like it begins, the eight-song album finishes with strong material. A bass line borrowed from The Allman Brother’s, “Whipping Post”, commences “The Blame” before the song whips into a more intense frenzy which provides the best overall performance by drummer Isiah Stauffer. “We Deal In Lead” has a lightning fast riff and beat along with the best overall hook and message which leads one to think that this may be developed into something special in the future. 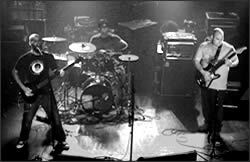 Formed in early 2010, Tigerbomb has shared the stage with groups as diverse as Jimmie’s Chicken Shack, Falcon Jones Band, the funk rock group Rufus J Fisk, and the British trio A Silent Film. Although there are some glitches with sonic quality and slight timing issues, which prevent this recording from reaching its full potential, you can see where the group is going with the material on Tigerbomb.